GOT Fresh Peaches or Nectarines and Plums? 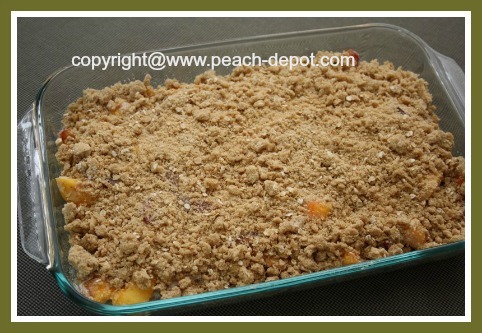 This Peach and Plum Crisp Recipe with an oatmeal topping, makes a simple fresh peach or nectarine dessert idea! 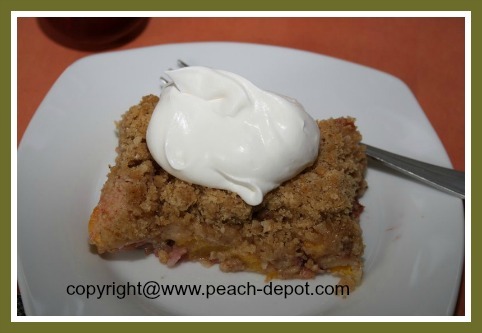 Scrumptious Homemade Peach and Plum Crisp Dessert! Peaches and Plums pair well together! Everyone loves desserts made with fresh, locally grown nectarines or peaches and plums. 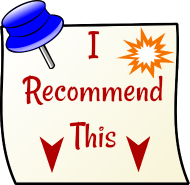 This recipe will take your taste buds for a ride! This crisp recipe is made in a 9" x 13" OR an 8" x 11" glass baking dish, and serves about 10 people. Add the prepared peaches (or nectarines), prepared plums, sugar, flour and cinnamon in a large bowl, and toss to coat. Transfer the mixture into a greased (I use non-stick cooking spray), 9" x 13" (or use a 8" x 11") glass baking dish. In a large mixing bowl combine the flour, rolled quick oats, sugar, cinnamon, salt. Cut the butter into small pieces and add to the dry mixture (above). Using a pastry blender, a fork, or your fingertips(! 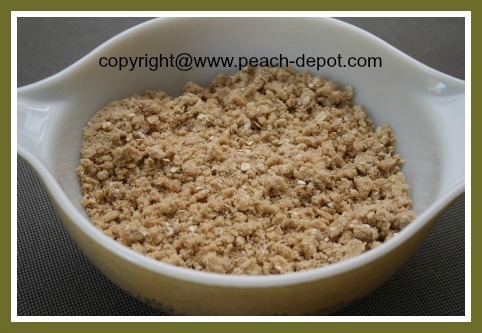 ), mix the butter into the dry ingredients until the mixture resembles coarse crumbs. 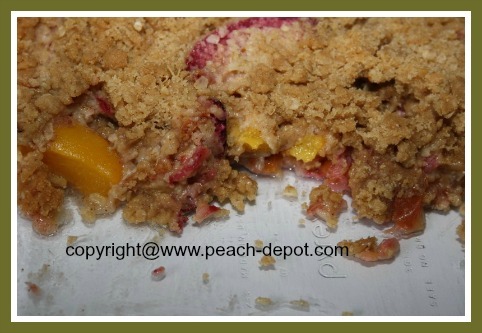 Sprinkle the crumb mixture evenly over the fruit in the baking dish. 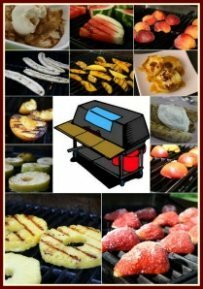 Bake at 350° F for about 40 minutes, or until topping is golden brown, and the fruit has begun to bubble. Serve warm or cooled plain, or with a scoop of vanilla ice cream, or a dollop of whipped cream or whipped dessert topping. 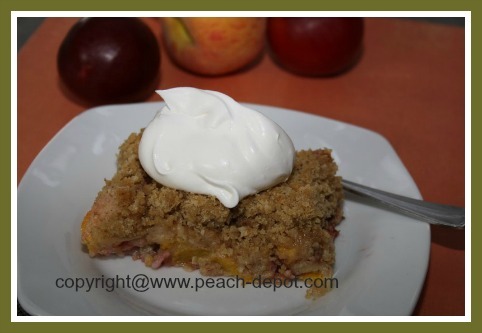 Yummy Peach Plum Crisp with a Dollop of Cream! 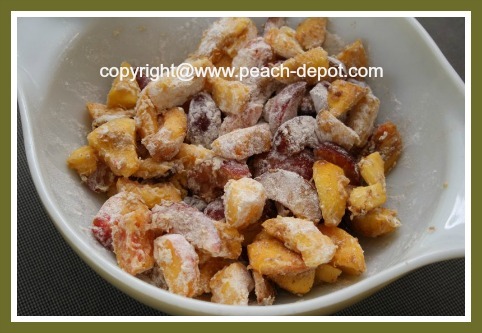 If you have nectarines on hand and you are looking for recipes to make using nectarines, know that you can use most peach recipes and just substitute the nectarine in place of the peach ingredient.